Professor Peter Cameron presented on the Australia New Zealand Trauma Registry at a session on trauma and emergency registries. The summit showcased the breadth and depth of clinical registry activity currently taking place in Australia. It brought together senior registry clinicians, researchers, managers, funders and other key stakeholders to share and discuss the impact of registry activity on patient outcomes. The program showcased clinical registries in cancer, trauma, procedures, devices and rare diseases. The forum was the co-ordinated by Ben Gardiner, Gold Coast University Hospital and the National Trauma Research Institute (NTRI) Goldcoast, who facilitated the full-day forum during the pre-conference of Trauma 2018, held in Perth. A total of 35 participants were enrolled in the workshops and ten agreed to present in the novice presenter 3 minute talk sessions throughout the day. Presentations were from a broad range of trauma care nurses, data collectors and doctors, all of whom were working with the collection and use of trauma data. Many ATR data collectors attended. A notable presentation was from A/Professor Gerard O’Reilly who presented the talk “Missing Data in Trauma Registries, a research perspective” based on his current research as an NHMRC Early Career Researcher (see video below). Online, real-time voting gave Ms Zoe Cheung (Alfred, Vic) first prize in the 3 minute talks, with Kelly Gumm 2nd (Royal Melbourne, Vic) and in 3rd place Gorden Speed (Otago, NZ). The participants also voted for the best presenter of the day with Cameron Palmer (Royal Children’s, Vic) walking away with the award. A feedback survey was performed with very positive comments, including “the three minute talks were an excellent quick snapshot of information”, suggestions to have half day sessions with focuses, all comments will improve the next pre-conference workshop. The next Nursing Quality Improvement and Data Management Forum will be held at Trauma 2019 - October 3-6, Sofitel Sydney, Wentworth, NSW. The Australia and New Zealand Trauma Registry: What can it achieve? Dr John Crozier kindly stepped in at the last minute, for Professor Mark Fitzgerald, to present on the new look Australia & New Zealand Trauma Registry, posing the question, “What can it achieve”? The presentation covered the history of the ATR since the idea was flagged by RACS and the ATS in 1993, the progress made and achievements over the last few years. He also presented on how the data is used, the potential of the data, and future directions of the ATR. A copy of his talk can be found here. For the first time ever the NTRI and ATR had a booth Trauma 2018. Hard copies of the 2015/16 and 2016/17 ATR reports were available, with a small supply of reports from the Major Trauma New Zealand and from the Gold Coast University Hospital. The booth was manned by Dr Teresa Howard (NTRI Research Manager), Emily McKie (ATR Manager) and Ben Gardiner (Trauma Registry Consultant, GCUH & NTRI Gold Coast). Visitors were asked what they wanted from the ATR and if there were any barriers to collecting and submitting data. Meanwhile, Ben worked extremely hard setting up the framework for this website. 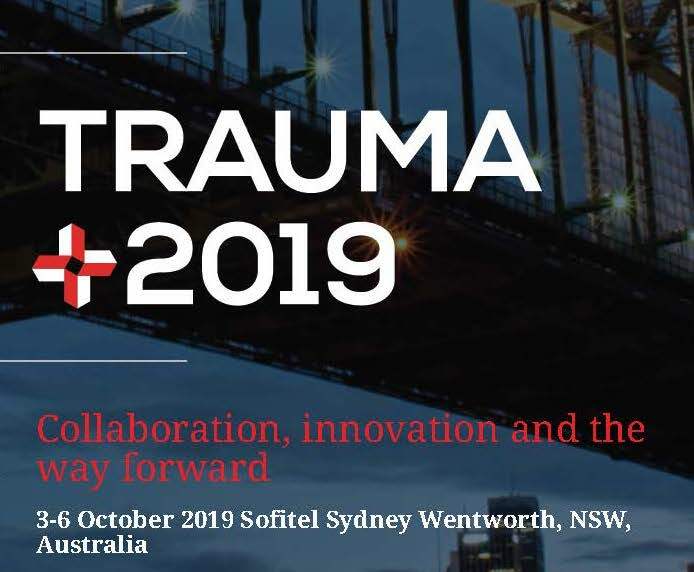 The ATR will be back at Trauma 2019 in Sydney. Prime Minister Malcolm Turnbull toured The Alfred on Monday to announce new funding for the Australian Trauma Registry. Visiting with the Federal Minister for Health and Aged Care Sussan Ley and Minister for Infrastructure and Transport Darren Chester, the Government announced a $450,000 commitment to grow the registry over three years. “We are working very hard with the police, (and) with great clinicians like those here at The Alfred, to ensure that road accidents are minimised and, when they do occur, the treatment is swift and effective,” Prime Minister Turnbull said. The Alfred’s Director of Trauma Services and the National Trauma Research Institute, Prof Mark Fitzgerald said the funding provided will assist the development of an integrated Australian National Trauma System. The Australian Government funding complements a total in-kind contribution of $1.85 million from participating hospital sites, and a $50,000 contribution from The Alfred Foundation. The registry currently tracks major injuries in Australia – road trauma (including motor vehicles, pedestrian and cyclists), major falls, gunshot wounds, and stabbings. The data is from Australia’s major hospital trauma centres.